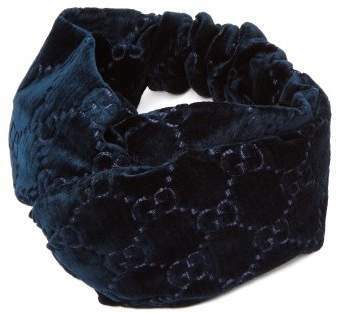 Gucci - Gucci’s blue headband taps into this season’s trend for statement hair accessories while encapsulating Alessandro Michele’s opulent approach to design. 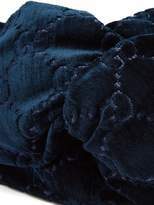 It's crafted in Italy from GG devoré velvet selected from the house’s archives, and has a ruched elasticated back for a comfortable fit. Style it with a printed blouse and statement earrings when entertaining at home.